It is time to lace up your running shoes and take to the beautiful historic streets of Paris, for the most active type of sightseeing there is. Rosie Khdir reports on this year’s semi marathon in Paris. 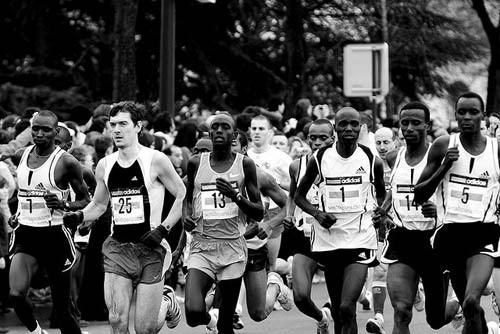 On 6th March 2011 over 23,000 runners will take part in Paris’ Half Marathon, a 21.1km race which begins and ends at l’Esplanade du Château de Vincennes in the Parc Floral. Starting at 10 am runners will be taken on a circuit of the ‘Illuminated City’ passing famous monuments including Place de l’Hôtel de Ville and a stint along the River Seine. At various points in the race there will be refreshments posts, at 5, 10 and 15 km and of course at the finish. Here the athletes will find bottles of water, energy drinks, a variety of fruit including oranges, bananas and raisins and even some sponges if the weather is a little warm. The semi marathon will be manned by 850 volunteers, 200 firemen and 5 first aid stations as well as plenty of Parisians to cheer you on along the way! This year’s semi marathon has gone all high-tech and your supporters can even track you using GPS! This device is only available to 300 runners so reserve yours as soon as possible. Once you have completed the lap of the city you can celebrate with more refreshments with your family. A souvenir medal and a diploma will also be given to each ranked athlete. If you would like to take part in this amazing annual event then P&O Ferries can help you rest your feet, at least on the journey across to France. You can get a car and up to nine people across on our Dover to Calais service starting from just £30. 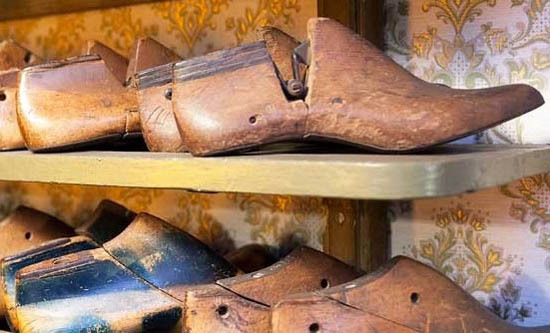 If you have ever wondered how those fashionable brogues adorning your feet are created, then a trip to the Dutch Leather and Shoe Museum might feed your curiosity. Rosie Khdir has a look around. The Dutch Leather and Shoe Museum was set up in the middle of the 20th century by a man called Antoon Hendriks, a shoemaking teacher and collector from Waalwijk. In 1953 he put on an exhibition of his footwear, leather and fashion, and it was received so well that a group industrialists set up Waalwijk Museum Foundation, to ensure that Hendriks could show his collection permanently. The Dutch Leather and Shoe Museum is still standing today, and currently has some very interesting exhibitions. The Microcosm of Roswitha van Rijn is an exhibition of shoe designer Roswitha van Rijn. Forty of her most exclusive designs from haute couture to western, are being shown at the museum until 3rd April 2011. She is known for her avant-garde designs and is particularly famous for her Wolf Boots. These made-to-measure boots were inspired by her Native American husband and have been ordered by famous faces the world over, from Vogue Italia fashion editor Roberto Croci to LA Supermodel Erin Wasson. Another exhibition that is worth a look is the Masterzief collection, but Zief Bezouw. This exhibition is not for the young or the faint hearted, as it tackles the subject of the shoe fetish. Alongside his more daring shoe models, Zief has on display some theatrical but wearable shoes. The Masterzief exhibition runs from 26th February – 26th June 2011. The Dutch Leather and Shoe Museum also holds free demonstrations in the factory section on every second Sunday of the month and every Wednesday during July and August. Experienced demonstrators explain how leather is tanned and then made into shoes. If you would like to make a visit to the Dutch Leather and Shoe Museum and see these exhibitions for yourself then P&O Ferries can help you get there. The Hull to Rotterdam overnight ferry service starts from just £149 each way. Next month the floral delights of Holland will begin, the famous bulbfields of Keukenhof will open their gates to thousands of visitors. Rosie Khdir reveals how P&O Ferries can get you there. 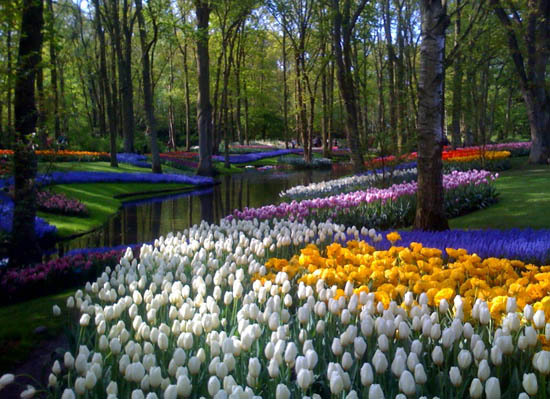 The international flower exhibition at Keukenhof has chosen Germany: Land of Poets and Philosophers as its central theme for 2011. This year’s theme acts as a tribute to Holland’s most important export market, and to honour the tens of thousands of German visitors to Keukenhof each year. Statistically speaking, of the 800,000 visitors welcomed to Keukenhof each year, Germans are the most represented. The official opening of the exhibition will be performed by Mrs Bettina Wulff, wife of the German President Christian Wulff. One of the most spectacular features to look out for is the spectacular mosaic of Berlin’s Brandenburg Gate, created using more than 100,000 flowering bulbs. The whole exhibition really draws on the Netherlands-Germany relationship and the Juliana Pavilion will highlight this in the form of the Netherlands-Germany Experience Centre. In this centre there will be three rooms in which the relationship between the Netherlands and Germany is the centre of attention, through images, light, sound and décor. P&O Ferries is offering an amazing deal for those of you who want to go an experience this exhibition this year. The P&O Ferries Bulbfields Minicruise offer gives you an overnight ferry fare, coach transfers to and from the Keukenhof and entrance to the gardens for just £88! This offer is valid from 24th March until 18th May 2011 on a midweek limited departure basis and is subject to availability so book now to avoid disappointment! Now here is a film festival for the hopeless romantics! Hosted by Imagix Mons, along with a few other cinemas in the Belgian town, it attracts over 30,000 people each year. From the 18th to 25th February 2011 the town of Mons will be filled with lovers of love – all this love making you feel a bit sick? Ok, I’ll move on to the film part. This year marks the 27th Festival International du Film d’Amour (or FIFA) which will debut films from all over the world. Over the next few weeks viewers will be able to watch international releases, world cinema, European cinema, Italian panorama and low-budget films. As well as viewing over 80 long films and 35 shorts, visitors can participate in debates and intercultural evenings which honour the cultures of different countries or regions through music, cuisine and folklore. Awards are also a big part of the festival, with prizes going to: Festival Grand Prix, Jury Coup de Coeur, Best Actor, Best Actress and Best Screenplay, to name a few. If you would like to attend the International Love Film Festival in the Belgian town of Mons, P&O Ferries can provide your transport. The Hull to Zeebrugge service starts at just £149 each way for up to five days! Love is in the air as Valentine’s Day draws near, the special day for so many couples around the world. If you are struggling to think of a way to celebrate, do not fear. Rosie Khdir has a few wining and dining specials for you in the Dutch city of Maastricht. Château Neercanne is beautiful terraced 17th century castle in the Jekerdal Valley between Maastricht and the Belgian border. The castle boasts four levels of Baroque gardens that are all UNESCO World Heritage Sites, the highest of which offers a gorgeous view over the valley. The castle’s L’Auberge restaurant is famed for its wonderful French cuisine, and guests can dine on the terrace at the front of the Château with a view of the park in good weather – a delightful and romantic setting for a Valentine’s meal. You an also enjoy a unique wine-tasting experience in the marl cave wine cellars. If you are looking for a more cosy setting for your intimate Valentine’s meal, then why not try the restaurant Petit Bonheur. This farm house style restaurant is situated just to the south of Maastricht, and offers wonderful regional French cuisine. 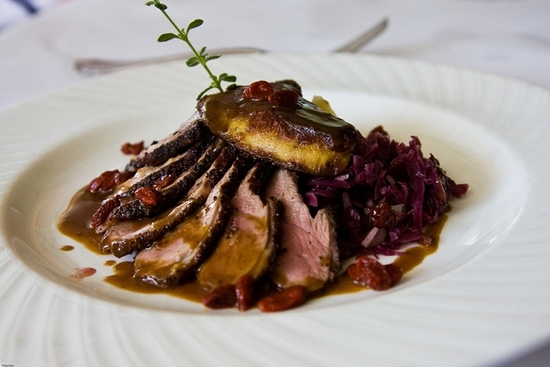 There is a wide choice of French food and wine, served in a rustic, warm atmosphere. The former 15th century Kruisheren cloister of this monastery has been converted into a stunning designer hotel, complete with library and above ground wine cellar. The hotel has been decorated by famous interior designer Henk Vos and features beautiful pieces of light installation artwork by German artist Ingo Maurer. His creations float above the dining tables in the hotel’s restaurant on the mezzanine level, which offers a variety of culinary surprises and wines from all over the world. The chancel of the former church is the setting for a very unique wine bar and cellar; hundreds of bottles lie in a glass decorative wall. If good seafood is what you are into, then Restaurant O is the place you need. Located on the right side of the river, in the area of Wyck in Maastricht, Restaurant O reveals the very best of the city’s waters. Here you can order shrimp, lobsters, crab and of course oysters for your romantic meal. The seafood here really is as fresh as can be, and is served in classy yet lively setting. If you fancy visiting any of these romantic locations then P&O Ferries can help you on your way. You can get a Hull to Rotterdam service for as little as £149 each way! The revered FOAM photography museum is preparing for yet another influential exhibition, this time by artist Dana Lixenberg. Rosie Khdir takes a look at Set Amsterdam. From 25th March until 29th May 2011 the FOAM gallery will be displaying the works of leading Dutch photographer Dana Lixenberg, whose work has been published in photo books and magazines around the world. Her set of photographs, titled Set Amsterdam depicts the Dutch capital as a film set, with traces of human life and activity. Lixenberg was inspired to create this collection after she was commissioned to create actors’ portraits for a television series called A’dam – E.v.a. This series focuses on individual lives in the city of Amsterdam, and the locations that this project led her to, such as a former bomb shelter, cemeteries, and Amsterdam’s garbage incinerator inspired her. She looked for environments with an “imparting a sense of transience that bear witness to the human stamp of its former residents.” Lixenberg conveys a sense of life, without actually photographing any human beings in her photos. She also took photo of large crowds and through subtle details managed to evoke a certain way of way through them. Dana Lixenberg has exhibited in famous museums in the Netherlands and her work is known for its people and community focus. If you would like to visit FOAM and see her stunning works for yourself then P&O Ferries can help you get there. The Hull to Rotterdam overnight service starts at just £149 each way.